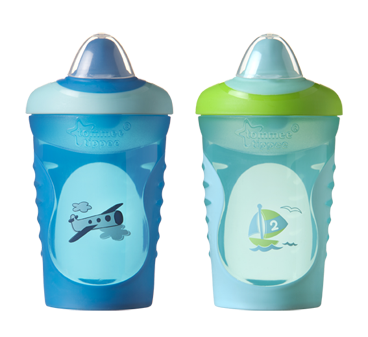 Tommee tippee makes this great BPA free sippy cup that can help train even the most difficult baby the first steps to drinking from a real cup. 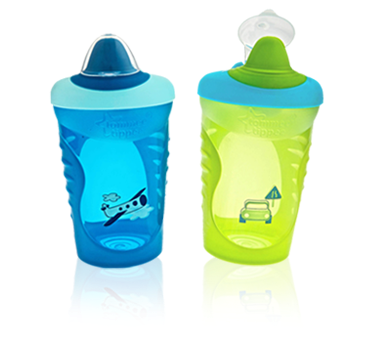 Our son K had been having the most difficult time with learning to drink from a sippy cup but tommee tippee made this cup called the explora. The explora has been wonderfully designed to be leak proof, soft on the gums, hygienic (thanks to a clear flip top that covers the spout), and easy to learn with since the spout is soft. We tried out the explora that is recommended for babies age 9 months and up. Our experience with this cup has been nothing but sensational and I am very pleased to say that K has mastered the art of sippying. I have found this sippy to never leak as is promised thanks to a specially designed valve and these are very easy to clean. 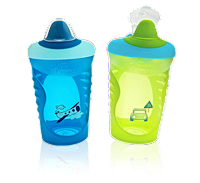 Keller had no trouble holding onto his sippy since the outside of the cup is partially covered in nonslip rubber. 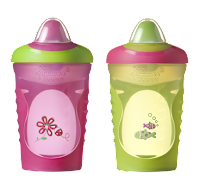 We definitely like that these are microwave and dishwasher safe since I never have much time to stand at the sink to hand-wash and once in a while I need to heat up a little milk for K. If you do prefer to hand-wash you will have no problem at all getting your washcloth into the bottom. 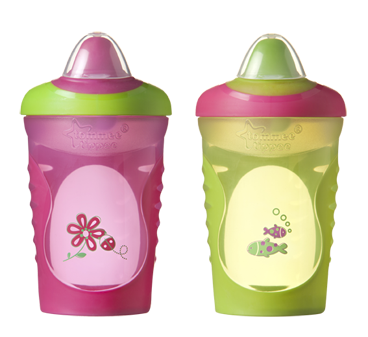 In a couple months I am thinking we will move up to the next step and get tommee tippee's truly spill proof straw cup. These explora's come in adorable colors and designs for girls and boys. 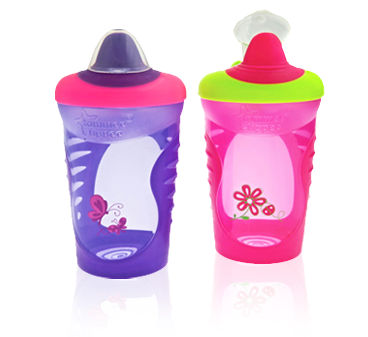 Tommee tippee explora's sell as a two pack for only $7.99 at a Toys R Us and Babies R Us near you. I did not receive monetary compensation for this review. I was sent the product(s) free of charge by the company or PR representative. It has been used solely for the purpose of this honest review. The views are strictly 100% my own. Receiving the product did not influence me to produce a positive review.